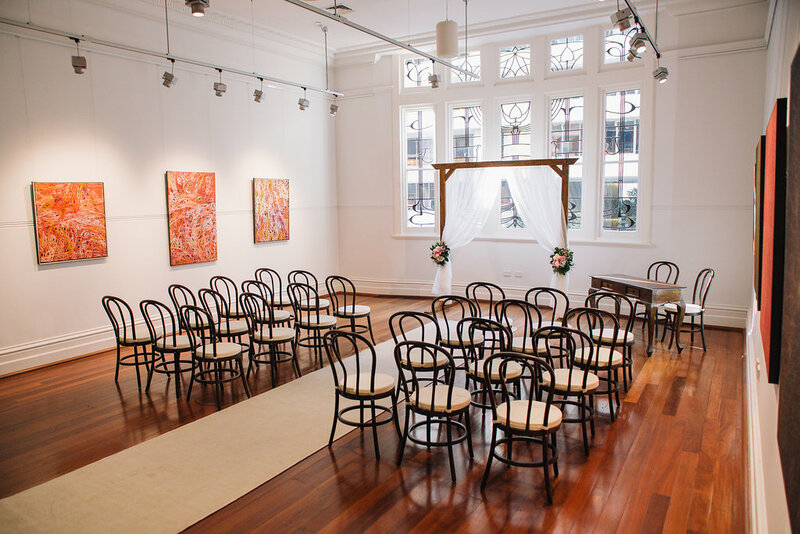 A few weeks ago we styled an indoor wedding ceremony set up at our favourite Perth Gallery, Linton & Kay Galleries, located in the heart of Perth CBD! This place is the most unique venue you could ever think of. Be expected to be surprised if you decide to spend your wedding day here! Every time we come back to this place, there is something different and fresh on display! 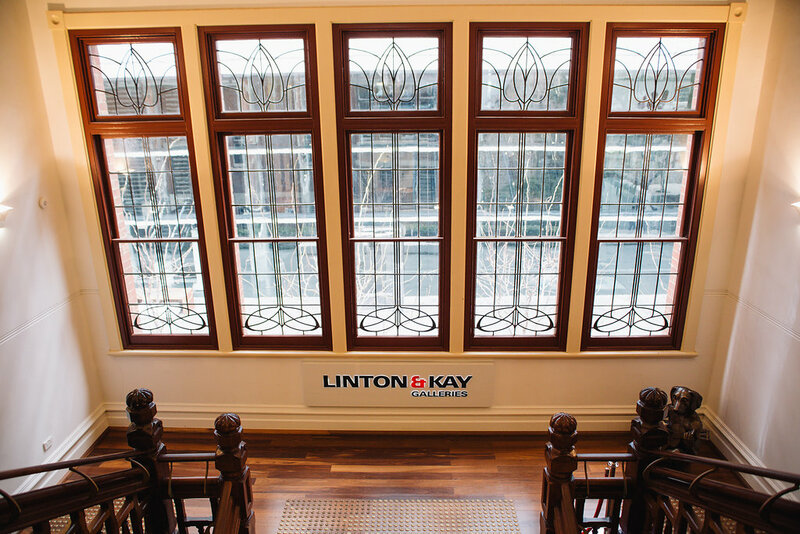 Linton and Kay Galleries have 2 different spaces you could hire. The front space has a beautiful heritage “old world” window, which brings in plenty natural light! 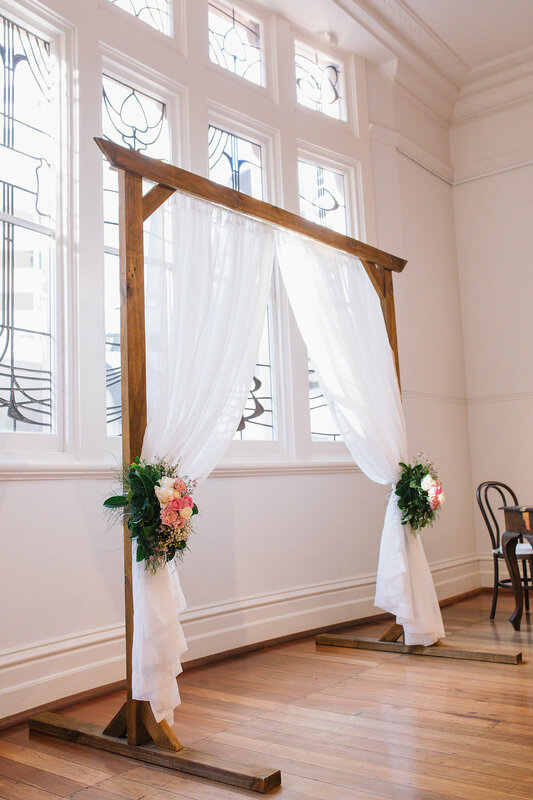 And the 2nd space is a much bigger area where you can easily have your reception or a larger ceremony party with celebration drinks at the back of the room. It really depends on the number of guests you invite! 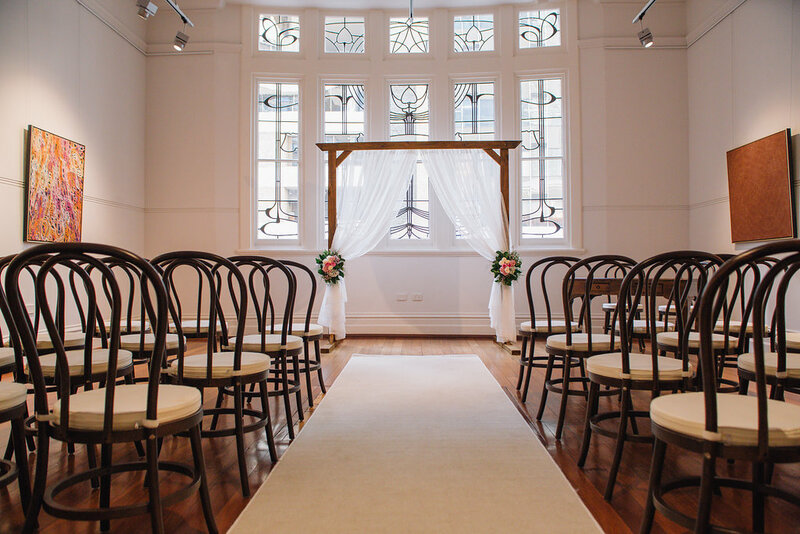 Both rooms are just beautiful and can be hired out for the entire wedding ceremony and reception, or just for the ceremony or just for reception. 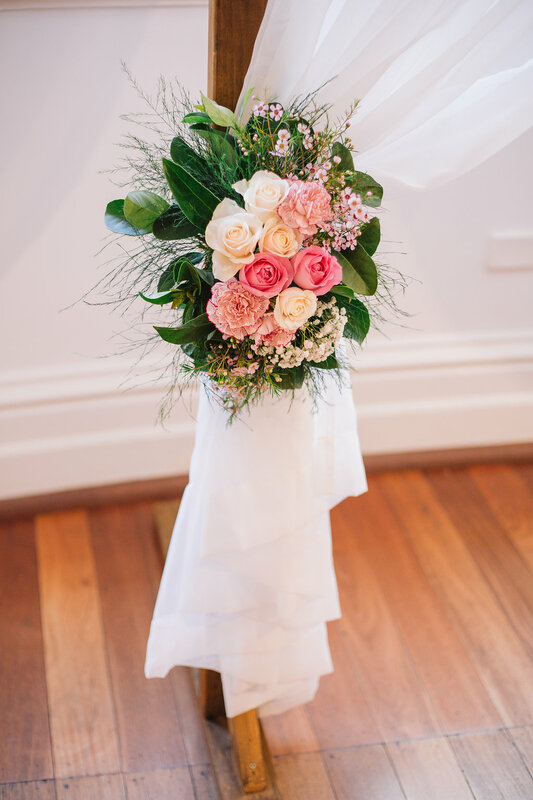 For more information on how to book this venue, you can contact the Event Manager, Leah Gorman on 08 6465 4314 or email leah@lintonandkay.com.au. 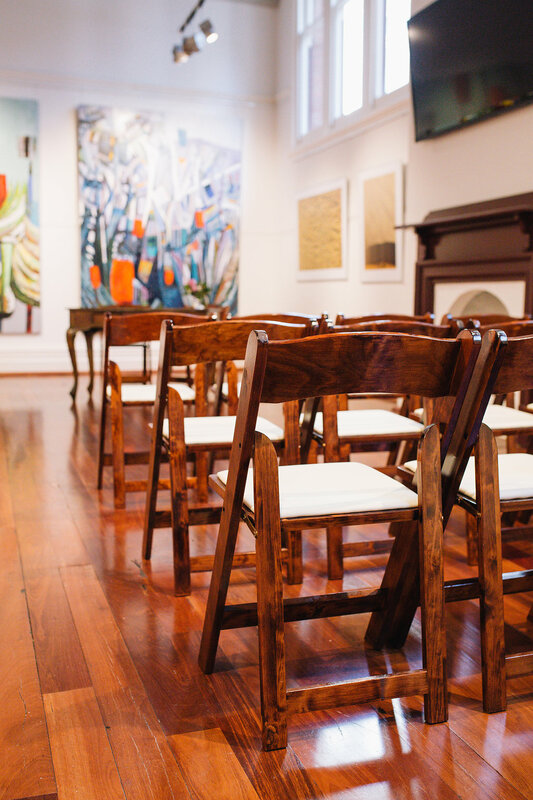 We set up countless weddings here with our White Folding chairs or White Tiffany chairs, but this time we introduced our Bentwood chairs and Brown Folding chair to this space and you can see for yourself in these images captured by Liz Jorquera Photography how special they look! 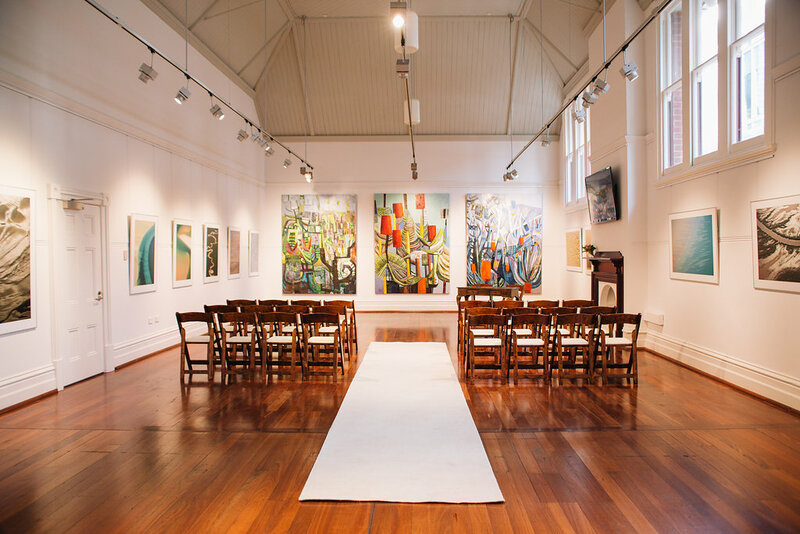 We were even lucky enough to have the first preview of Kate Elsey’s painting in the main gallery, which we used as the backdrop for the alter with our brown folding chairs! 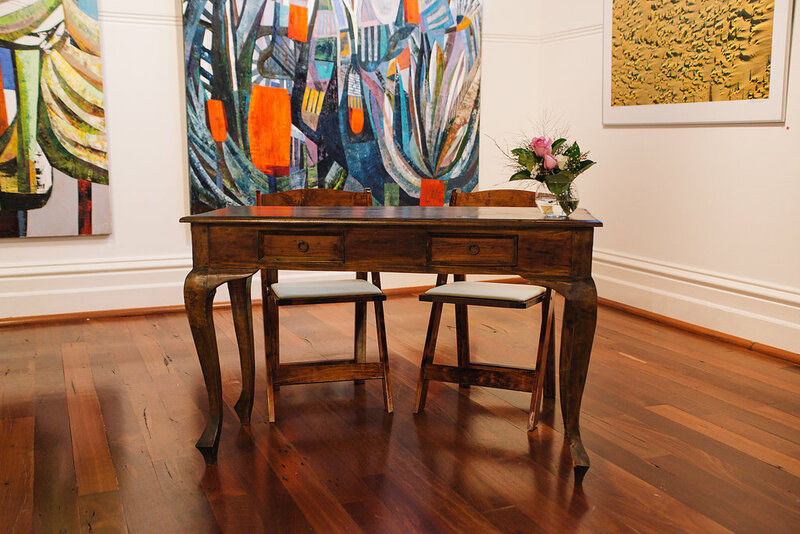 Linton & Kay Galleries is exhibiting Kate Elsey, Banksia Mountain paintings from the 22nd August until the 20th September 2015. 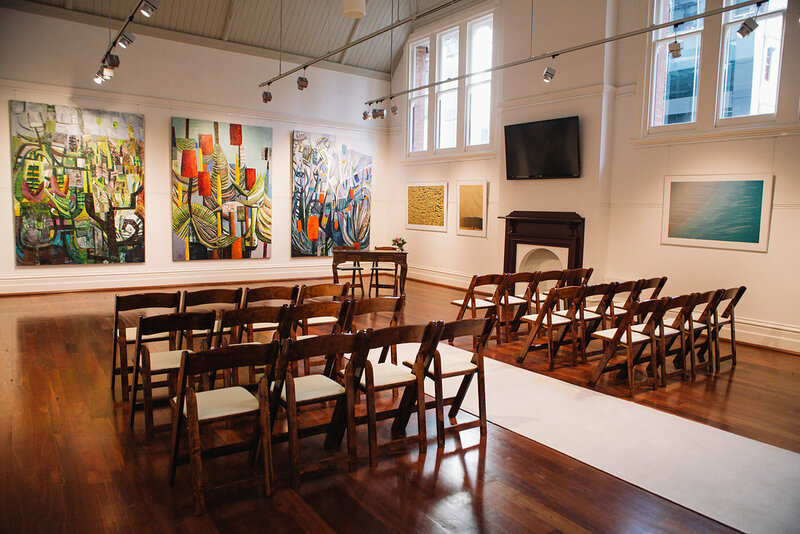 The official opening is on the Sunday 30th August 2015, 2-4pm at the Perth Gallery, Level 1 / 137 St Georges Terrace, Perth. It’s defiantly worth checking out!